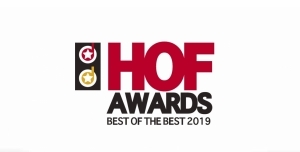 The TPA Group once again wins the “Best of the Best” title in Tax & Financial Advisor category of HOF Awards 2019. The finale of the 4th European edition of the Hall of Fame Awards 2019 traditionally took place in Prague, Czech Republic. Winners of local CIJ Awards from nine countries competed for main awards. The TPA Poland consulting company took the top of the podium in the Tax & Financial Advisor category. “We are honored to have been awarded this prestigious award the third year in a row; this year in particular, as the finale saw three companies from the TPA Group – from Poland, the Czech Republic and Serbia. On behalf of the whole team of tax advisers and financial experts I would like to thank the members of the Jury and all those who voted for us and kept their fingers crossed. This award is an excellent evidence of the fact that we represent a stable, recognizable and unrivaled tax and financial practice in the international real estate market, which in Poland has recently been expanded with comprehensive legal services provided by our colleagues from Baker Tilly Woroszylska Legal,” commented Małgorzata Dankowska, tax adviser, Partner heading the real estate team and the Warsaw tax division of TPA Poland.